After breakfast the other day, I was totally craving Lemon Cookies. 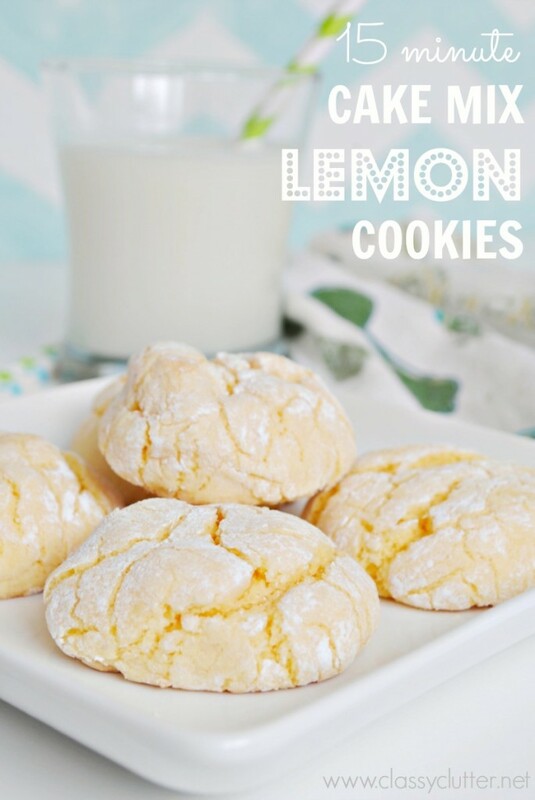 I love me some lemon cookies; I pretty much love anything lemon. 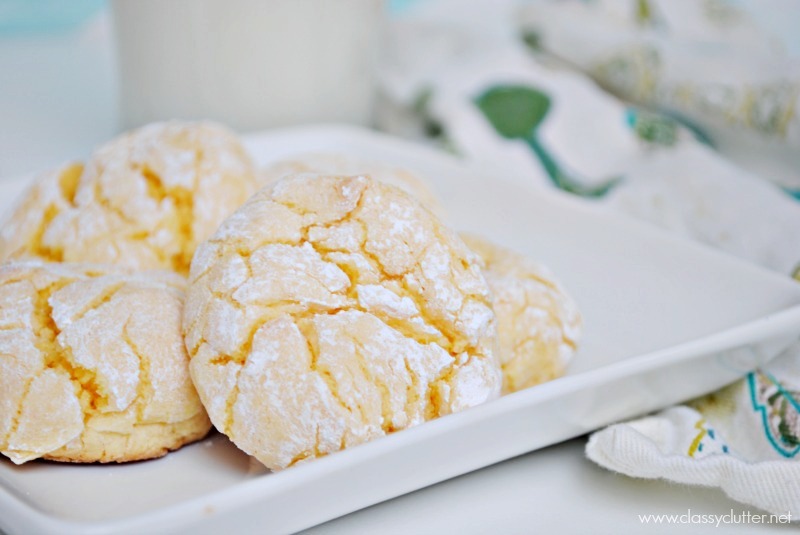 I didn’t have all of the ingredients for my “go to” Lemon Crinkle Cookies recipe. I wanted something that tastes equally as good and FAST! We’re in the middle of a blizzard outside so I started brainstorming a recipe to try using ingredients I had on hand. I remembered hearing about cake mix cookies that people love so much but I’ve never tried them. I looked up a recipe and they all call for Lemon Cake mix. Shoot. I didn’t have any… but, I did find some yellow cake mix. 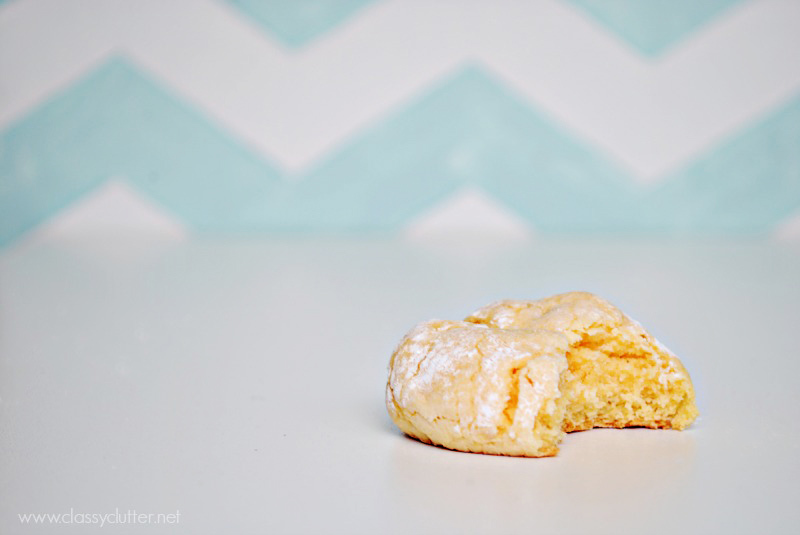 A light bulb went off and I decided to combine the two recipes to create the best lemon cookies ever. 15 minutes later, I had moist on the inside, warm and baked to perfection on the outside, Cake Mix Lemon Cookies. YES, 15 minutes from start to finished baking. They are so ridiculously easy and I’m pretty sure they serve these in Heaven. 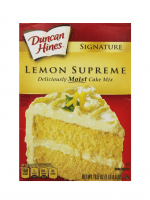 Note: You can switch the Yellow Cake Mix and lemon juice for a box of Lemon Cake Mix. Make sure it is the right size box or you will end up with super sticky cookies. You can solve this by coating your hands with powdered sugar when you handle them. Spray cookie sheet with cooking spray. Mix yellow cake mix, vegetable oil, eggs and lemon juice with a mixer. Dough will be sticky. Take a spoonful of the dough, roll it into approximately 1″ ball and roll it in the powdered sugar. I just poured some powdered sugar in a bowl and rolled the dough ball around to cover it. Bake for 6-8 minutes. Watch carefully around 6 minutes and pull them out of the oven when the edges start to brown. Let sit on cookie sheet for 5 minutes before moving to a cooling rack. Makes 1-2 dozen depending on how big you make your dough balls. Now, pour yourself a glass of cold milk and enjoy! They are soft and cakey on the inside and perfectly crisp on the outside. You will love them! I can’t believe how simple and delicious they are. My kids were begging for them all day. It was really hard to share them. These look so good! I love lemon. I’m pinning this to try it out later! 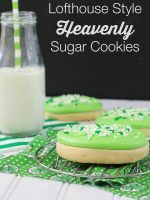 These cookies are awesome!!!! I tweaked mine a little by substituting 3/4 cup Greek non-fat yogurt instead of the oil. I also used 4 tablespoons of fresh lemon juice! TOTAL YUM!! I made these cookies tonight. They were easy to make and delicious! 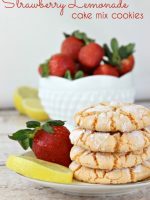 I tweaked mine a little bit by using 4 teaspoons of fresh lemon and I added 4 teaspoons of country lemonade mix. And instead of powder sugar I just put flour on my hand so that the cookie dough would not stick to my hand. In the middle of making these.. the dough is way too sticky to roll into a ball!! It was just a big mess in my hand. I’ve put the dough in the fridge in hopes it will harden and I can roll it. Any tricks?? I was so excited to try these. I used a white cake mix instead of the yellow because that’s all I had on hand and Meyer lemons for the juice. They are cooling right now but they smell so good I’m having a hard time resisting them, ha! Thanks for the recipe. What a mess! These cookies are way too sticky even after adding flour. I would not recommend trying these. Not a time saver at all! The problem is that the cake mixes used to be 18.25 mixes. At least in the lemon Betty Crocker. And now they are 15. Makes a difference in the flour. I made these about 6-8 months ago and they were perfect. Now all sticky. Added flour but not much help. But I do love all the work everyone does on these recipes. The mix I used was 15.25oz so I added 1/4 cup of flour to the mix and combined the dry ingredients prior to adding the wet. I also added a little more flour once all ingredients were mixed in to give the dough a less sticky feel. This recipe worked out great for me! I used the smaller cake mix because that’s all I could find and added 3/4 of a cup of flour. They taste amazing! I just made these and after reading the comments I tweaked it a little. I only had a white cake mix, so I added in 1/4 cup lemon juice. The mix was too runny to make into balls with my hands, so I just spooned it into the icing sugar. That worked very well! Baking took quite a bit longer; I baked them for about 10 minutes in a convection oven, just until they started to get brown, then let them sit on the pan for 5 minutes. Very yummy!!! 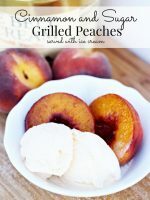 Thanks everyone for making this a great go-to recipe!! I also made a lemon lavender drizzle with powdered sugar, lemon zest, lemon juice, lavender extract (food grade), and a sprinkle of purple lavender sugar. These were great. Very lemony, crisp on the outside and soft within.